I don’t want my students to feel as if they’re flying without a map. So, as a model for them—many of whom are currently writing annotated bibliographies–I spent the better part of the morning composing the sample annotation that follows. The process awakened in me an interest in writing about Chasing Amy and Jerry L. Walls’ study of the film. Perhaps that’s a project for the summer. 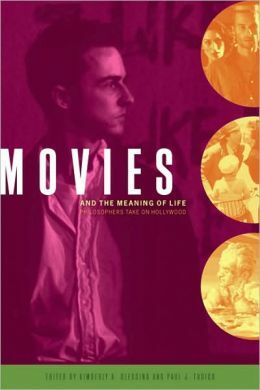 Walls, Jerry L. “Flying Without a Map: Chasing Amy and the Quest for Satisfying Relationships.” Movies and the Meaning of Life. Ed. Kimberly A. Blessing and Paul J. Tudico. Chicago: Open Court, 2005. 137-149. “Flying without a Map: Chasing Amy and the Quest for Satisfying Relationships” considers Kevin Smith’s film Chasing Amy (1997) as a reflection of our moral ambiguity. In the words of the essay’s author, Jerry L. Walls, Chasing Amy offers “a vivid picture of what happens to us emotionally, morally, and relationally when we try to revise morality in some fairly radical ways, while still holding onto selected parts of our traditional morality” (140). In his analysis of the film’s principle characters, Walls cites Edward O. Wilson’s article “The Biological Basis of Morality,” highlighting the two options Wilson identifies as the ones that determine and divide our worldviews: (1) that moral and ethical principles “exist outside of the human mind,” or (2) “they are inventions of human minds” (141). Subsequently, Walls’ examination of Holden McNeil (Ben Affleck), who holds the former view, and Alyssa Jones (Joey Lauren Adams), who holds the latter view, illustrates how Alyssa challenges Holden to rethink his beliefs. While Holden tells Alyssa that he likes girls “Because that is the standard,” he cannot explain to her why he believes what he believes or why he should believe it. Walls chronicles Holden’s and Alyssa’s moral evolution, noting the irony of Holden’s 180-degree shift, marked by the solution he proposes to Alyssa and Banky (Jason Lee), and concludes his essay by suggesting that Chasing Amy depicts “an even larger quest,” one for God (149). Though I agree with Walls’ central thesis (that the film offers “a vivid picture of what happens to us emotionally, morally, and relationally when we try to revise morality. . .”), I disagree with his conclusion, which rests on the questionable assumption that religion offers a map that other foundations for ethics and morals cannot. It comes as no surprise that Walls as a professor of the philosophy of religion turns to faith in the final pages of his essay. But by choosing that path, he overlooks how the film’s characters—all comic-book artists—turn to art as a way of making sense of their lives.